Honored with a Special Breakthrough Prize, the astrophysicist says she’ll use the winnings to fund scholarships to support today’s outsiders in the field. The Nobel Prize is infamous for snubbing women in the sciences. 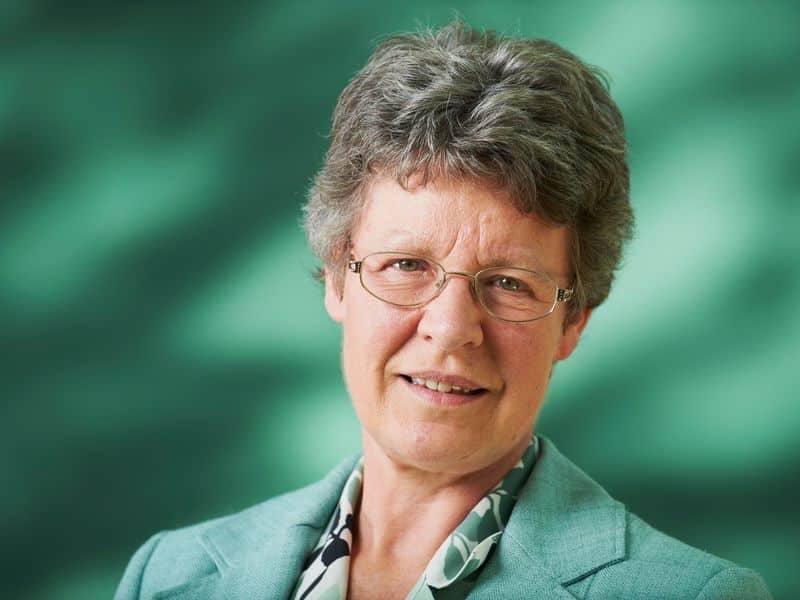 Just ask astrophysicist Dame Susan Jocelyn Bell Burnell, whose groundbreaking discovery of pulsars was overlooked when her male advisor was awarded a Nobel in 1974. Now, as Sarah Kaplan and Antonia Noori Farzan report for the Washington Post, 51 years after Bell Burnell made the first documented observations of the energetically charged corpses of bygone stars known as pulsars, her contributions to the field are being honored with a $3 million Special Breakthrough Prize in Fundamental Physics. Bell Burnell is the fourth recipient of the prestigious award, whose previous honorees include Stephen Hawking, the seven CERN scientists whose leadership led to the discovery of the Higgs boson and the LIGO collaboration that detected gravitational waves. “Jocelyn Bell Burnell’s discovery of pulsars will always stand as one of the great surprises in the history of astronomy,” says Edward Witten, the chair of the Breakthrough Prize selection committee, in a press release. Bell Burnell was a doctoral student in physics at Cambridge University when she first noticed the series of mysterious, highly regular blips in the readout of a radio telescope in 1967. Further observations showed that the pulses were occurring every 1.3 seconds, creating barely perceptible “squiggles” in her data. Bell Burnell’s advisor, Antony Hewish, was, at first, skeptical of the findings, dismissing them as artifacts in her readings. But Bell Burnell was certain it was not just artifical noise. In early 1968, her work paid off with the publication of the first scientific paper documenting pulsars. As Space.com writer Calla Cofield explains, pulsars, compact, spherical objects belonging to the “family of objects called neutron stars,” emit beams of radiation from their two poles—but because pulsars rotate, these energetic jets appear to “pulse” as they pass in and out of view. Due to these precise pulses, astronomers can use pulsars as landmarks to map the cosmos, or as metronomes to track the timing of interstellar events millions of lightyears away. In the decades since their discovery, physicists have also used pulsars to test Einstein’s theory of general relativity and detect gravitational waves. The discovery of pulsars was such a big deal that in 1974, Hewish shared the Nobel Prize in Physics for it alongside fellow astronomer Martin Ryle. It was the first time the prize had ever been awarded to the field of astronomy—but Bell Burnell’s contributions to the breakthrough find went unmentioned. The Special Breakthrough Prize honors not only Bell Burnell’s landmark discovery, but also her constant engagement with the scientific community and beyond. In the past five decades, she has remained both an educator and researcher, serving as president of the Royal Astronomical Society and the first woman president of both the Institute of Physics and the Royal Society of Edinburgh. Currently, Bell Burnell is a visiting professor of astrophysics at the University of Oxford and chancellor of the University of Dundee. She was named a Dame Commander of the Order of the British Empire (DBE) in 2007. Bell Burnell will officially receive the award in November at the Breakthrough Prize’s 2019 ceremony in California’s Silicon Valley. However, she has already announced her plans to donate the $3 million associated with the Prize to Britain’s Institute of Physics to fund scholarships for women, underrepresented groups and refugees interested in studying physics. Drawing from her own experiences as a woman in science, Bell Burnell says she wants the money to help counter the “unconscious bias” that still pervades the field, reports Pallab Ghosh at BBC News. Continue onto the Smithsonian to read the complete article. Austin, TX–A professor emerita of mathematics at The University of Texas at Austin has received mathematics’ top international award for the year. 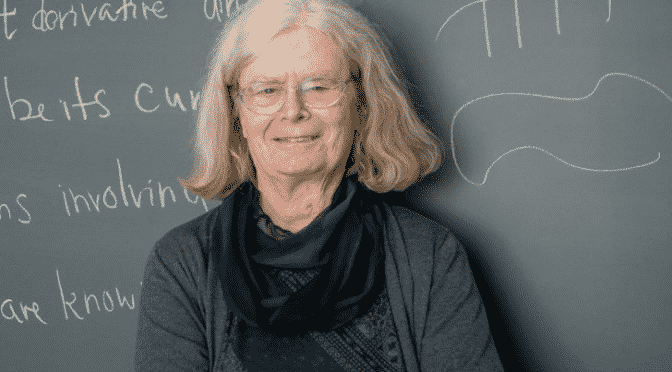 The Norwegian Academy of Science and Letters has named Karen Uhlenbeck its 2019 Abel Prize award winner. The prestigious international award, modeled after the Nobel Prize, comes with a monetary award of 6 million Norwegian kroner, approximately $700,000. Uhlenbeck was cited “for her pioneering achievements in geometric partial differential equations, gauge theory and integrable systems, and for the fundamental impact of her work on analysis, geometry and mathematical physics.” Her work has been described as some of the most important in 20th century mathematics, constituting revolutionary advances in geometry. The President of the Norwegian Academy of Science and Letters, Hans Petter Graver, announced the winner of the Abel Prize at the academy in Oslo today. Norway’s King Harald V will present the Abel Prize to Uhlenbeck at an award ceremony in Oslo on May 21. Some of her most noted work focused on gauge theories, providing an analytical foundation for a number of concepts explored in modern physics. Continue on to the University of Texas at Austin to read the complete article. Women and people of color remain underrepresented as leaders in the auto and tech industries. Looking back to the fabled U.S. government-sponsored DARPA Challenge races of 2005 and 2007 that ignited the robot car revolutions, rosters for the era’s two dominant teams, Carnegie Mellon University and Stanford University, include only one or two women each among dozens of brainy young engineers and computer scientists. Improving gender and ethnic diversity at tech and auto companies isn’t a superficial step – multiple studies find that it meaningfully boosts corporate performance and creates better companies. Continue onto Forbes to read the complete article. How one woman overcame adversity and found success in space. Diana Trujillo has always looked to the stars. It’s that yearning which pushed Trujillo to immigrate to the United States with only $300 in her pocket, receive a degree in aerospace mechanics and biomechanics, and become one of the first Hispanic women to break into the aerospace industry. 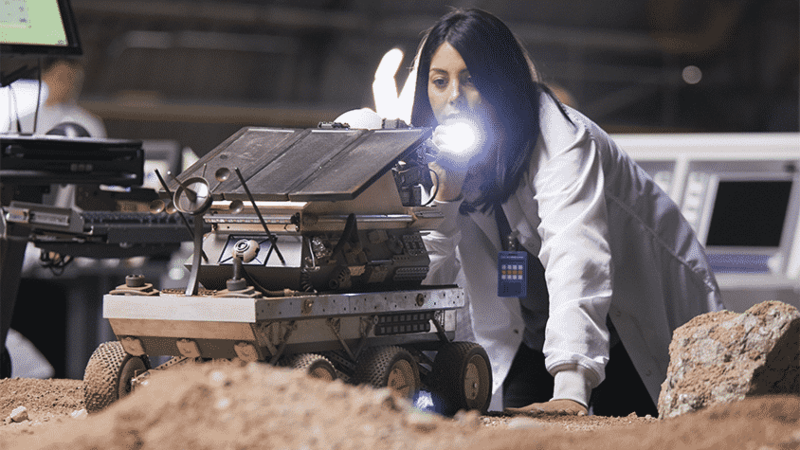 Today, Trujillo oversees dozens of engineers and spearheads crucial projects, including a rover mission to Mars to explore the Gale Crater with one of the most technologically advanced rovers ever built. Q:| You went from being a Hispanic immigrant who didn’t speak English to one of the country’s top female engineers. How did you turn what many would consider an adversity into an asset for your career? It was an asset the whole time—I needed to decide how I would see it. My upbringing has taught me that you never give up. I’m not shy of asking what I want to do. I don’t run away from the problem; I run toward the problem. It’s something my peers find very valuable, because they know I’m going to grab any problem by the horns. Q:| What’s been the biggest challenge in your career so far and what did you do to overcome it? Honestly, the biggest challenge has been to get over myself. I often text my husband saying, “Oh, man, I’m in a meeting with 17 people and I’m the only girl.” So what if I’m the only girl? It doesn’t make me less capable. I’m all about having more women in the workforce, and having more women of color in the workforce. So, when there aren’t any other women in the room, I need to do my best and let other women in. If I’m too preoccupied about being the only one, I won’t perform. Q:| What advice do you have for women to get over themselves, own a room, and own their place at the table? It’s not about you; it’s about the goal. You need to focus on the goal. Nobody’s going to argue with you if your discussion is all about the goal. When the goal is bigger than you, it’s doesn’t matter who sets it because it’s for the greater good of the team. Continue onto JP Morgan Chase to read the complete article. AnitaB.org—a nonprofit social enterprise committed to increasing the representation of women technologists in the global workforce—announced the results of the organization’s annual Top Companies for Women Technologists program, the only industry benchmark based on statistical analysis of employer data that measures technical employees using a standardized definition of the technical workforce. Once again, findings show a small but continued increase in the number of women employed in the technical workforce, with the highest increase occurring at the executive level. In 2018, Top Companies for Women Technologists evaluated 80 companies accounting for more than 628,000 technologists across a variety of fields. Within the participating companies, women held 24.03 percent of technical roles. 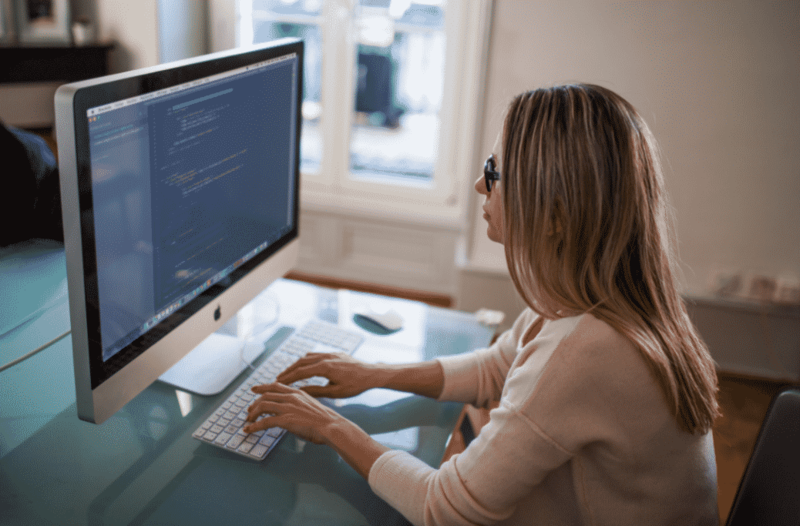 This 1.08 percent increase is slightly smaller than the 1.2 percent increase in 2017 but represents thousands of new jobs for women technologists. Although representation increased across all career levels, the most significant increase was measured at the executive level, where the number of women grew 2.1 percent. Women were also promoted at a slightly higher rate than men for the second straight year, with 14.7 percent of them advancing compared to 14.4 percent of their male counterparts. Organizations continue to invest in building workplaces where women are supported and valued as they pursue career goals. The 2018 results saw significant uptake in relevant policies and programs, including leadership development, gender diversity training, and pay equity policies. Despite promising gains for women at the leadership level, women from underrepresented groups only make up around 13 percent of the technical workforce. The complete 2018 Top Companies Insights Report offers additional data, insights, and methodology details. In 2018, the five organizations with the highest cumulative scores in their respective workforce size categories (fewer than 1,000; 1,000 to 10,000; and greater than 10,000 technical employees) earned the additional distinction of placement on the “2018 Top Companies for Women Technologists Top Five” lists. These companies scored highest in their respective categories— Technical Workforce of fewer than 1,000: HBO Inc., Morningstar, Inc., Securian Financial, ThoughtWorks, and XO Group; 1,000–10,000: Airbnb, Blackbaud, GEICO, State Farm, Ultimate Software; and greater than 10,000: Accenture, Bank of America, Google, IBM, and SAP. This “hidden figure” is finally getting her due praise. 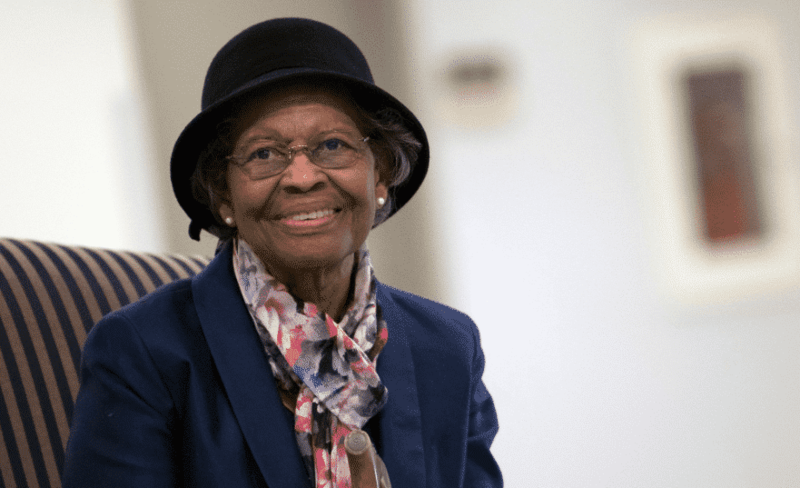 A “hidden figure” in the development of GPS technology has officially been honored for her work.Mathematician Dr. Gladys West was recognized for doing the computing responsible for creating the Geographical Positioning System, more commonly referred to as the GPS. On December 6, the 87-year-old woman was inducted into the Air Force Space and Missile Pioneers Hall of Fame by the United States Air Force during a ceremony at the Pentagon. The Alpha Kappa Alpha Sorority member, born in Dinwiddie County, Virginia, earned a full scholarship to Virginia State University after graduating high school at the top of her class. Gwen James, her sorority sister, told The Associated Press she discovered her longtime friend’s achievements when she was compiling a bio for senior members of the group. Dr. West spent 42 years working on the naval base at Dahlgren, Virginia. During this time, she was one of the few women hired by the military to do advanced technological work. During the early 1960s, she was commissioned by the U.S. Naval Weapons Laboratory to support research around Pluto’s motion. From the mid-1970s to the 1980s, her computing work on a geodetic Earth model led to what became the first GPS orbit. Continue onto Blavity to read the complete article. The computer she was writing about, the British inventor Charles Babbage’s Analytical Engine, was never built. But her writings about computing have earned Lovelace — who died of uterine cancer in 1852 at 36 — recognition as the first computer programmer. The program she wrote for the Analytical Engine was to calculate the seventh Bernoulli number. (Bernoulli numbers, named after the Swiss mathematician Jacob Bernoulli, are used in many different areas of mathematics.) But her deeper influence was to see the potential of computing. The machines could go beyond calculating numbers, she said, to understand symbols and be used to create music or art. She also explored the ramifications of what a computer could do, writing about the responsibility placed on the person programming the machine, and raising and then dismissing the notion that computers could someday think and create on their own — what we now call artificial intelligence. Math “constitutes the language through which alone we can adequately express the great facts of the natural world,” Lovelace wrote. 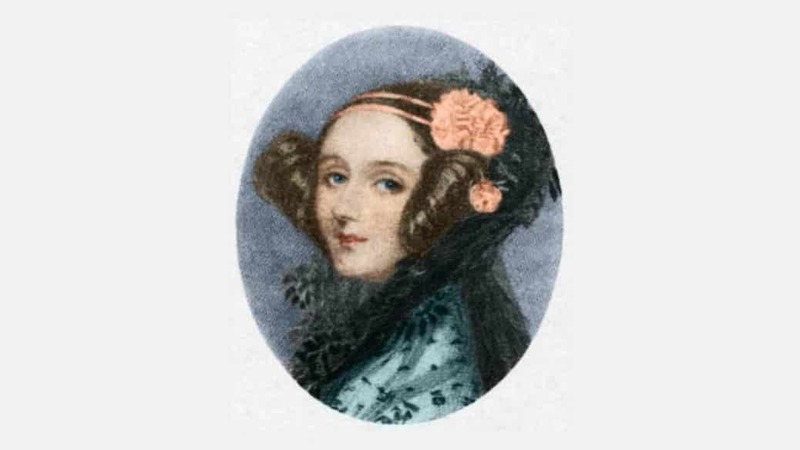 Her work, which was rediscovered in the mid-20th century, inspired the Defense Department to name a programming language after her and each October Ada Lovelace Day signifies a celebration of women in technology. Lovelace lived when women were not considered to be prominent scientific thinkers, and her skills were often described as masculine. “With an understanding thoroughly masculine in solidity, grasp and firmness, Lady Lovelace had all the delicacies of the most refined female character,” said an obituary in The London Examiner. Augusta Ada Byron was born on Dec. 10, 1815, in London, to Lord Byron and Annabella Milbanke. Her parents separated when she was an infant, and her father died when she was 8. Her mother — whom Lord Byron called the “princess of parallelograms” and, after their falling out, a “mathematical Medea” — was a social reformer from a wealthy family who had a deep interest in mathematics. Lovelace showed a passion for math and mechanics from a young age, encouraged by her mother. Because of her class, she had access to private tutors and to intellectuals in British scientific and literary society. She was insatiably curious and surrounded herself with big thinkers of the day, including Mary Somerville, a scientist and writer. Continue onto the New York Times to read the complete article. CNN Digital has more women in leadership and on staff than ever, and their perspective is changing video storytelling. It’s a sentiment echoed by four other women in leadership at the network when they talked to Fast Company in the run-up to covering the midterm elections, which had an unprecedented number of female candidates at the federal, state, and local levels. Election coverage itself is just a flash in the news pan for these women who are collectively responsible for the creation and promotion of a massive amount of video reporting. CNN is just behind YouTube, Facebook, Netflix, and ESPN, yet still reaches over 2.2 billion people across the globe every month. The network asserts that they experience over 500 million starts a day, which they claim is more than any other news brand. Doing this work is a global staff of 660. Although they weren’t able to disclose actual specifics of the breakdown, CNN Digital currently has more women than men on staff. This is significant. The news business has long suffered from a lack of female representation. 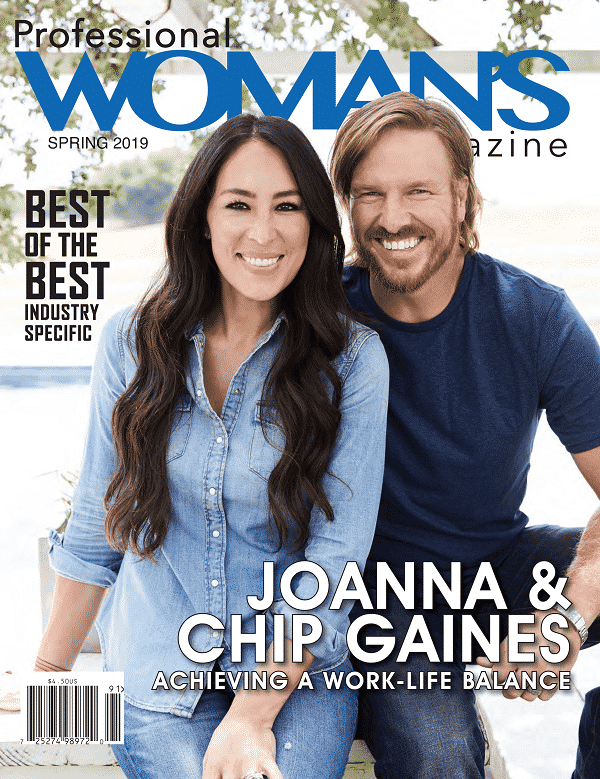 Women make up just 32% of U.S. newsrooms (and women of color represent just 7.95% of U.S. print newsroom staff, 6.2% of local radio staff, and 12.6% of local TV news staff), while men get 62% of bylines and other credits in print, online, TV, and wire news, according to the most recent Status of Women in the U.S. Media study. The media industry has also faced criticism for a lack of racial diversity. 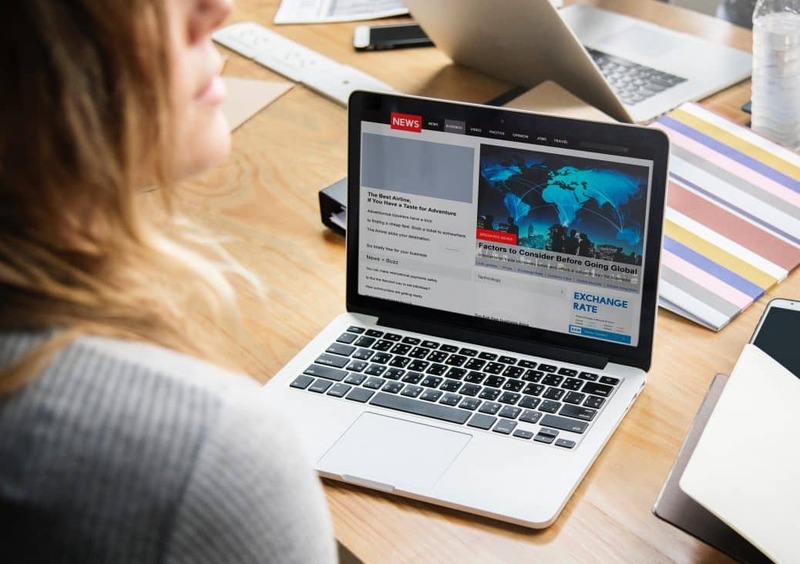 Data from a 2016 survey by the American Society of News Editors found that underrepresented minorities represent less than 16.94% of newsroom personnel at traditional print and online news publications overall. CNN declined to disclose the racial and ethnic breakdown of its news staff. In an industry that reaches people of all genders, races, ethnicities, sexual orientations, and is supposed to prize objectivity, lack of diversity is a potentially huge stumbling block. Brundige takes a somewhat controversial stance when she says she believes that for too long, people have thought about diversity as mostly about race. While experts like Scott Page, the author of The Diversity Bonus, argues in favor of cognitive diversity (which occurs naturally among people of different backgrounds, regardless of race, gender, or other factors), it wasn’t that long ago that Apple’s former vice president of diversity and inclusion Denise Young Smith came under fire for stating that a room of “12 white, blue-eyed, blonde men” could be diverse. “We have a lot of racial diversity in particular in my team in New York,” Brundige asserts, “but it’s most important to me to have geographic diversity and not just have a bunch of people who grew up in the Northeast and went to Ivy League schools.” Still, she’s quick to add that there’s room for improvement. The mission of CNN Digital, according to Kalita, is to find some common factor with your audience. “So, I don’t think your background can be divorced from that process of storytelling,” she says. As the mother of two, Kalita recalls how she felt when Brundige brought a story idea about a woman in Chicago who was on a quest to find out how her son died because he was left with marks all over his body. It was called “Beneath the Skin,” says Kalita, and remembers Brundige talking about the period between the death and the funeral and what that’s like for a mother. “That just haunted me for days,” she confesses. “I would argue that she probably had a similar reaction,” says Kalita, noting that the creators of the piece were also women. “So on projects like that, it’s wonderful to be able to bring yourself to the work, and have it enhance the work,” she says. Continue onto Fast Company to read the complete article. Women make up only 26% of the tech workforce, and in product management that number drops to 5%. 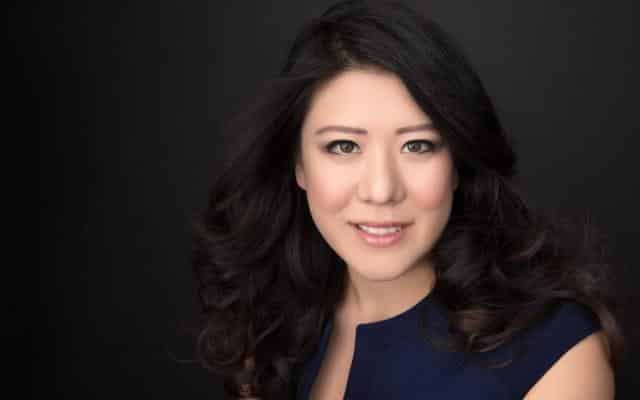 So Nancy Wang cofounded a nonprofit to help women change the ratio. Nancy Wang remembers sitting down in a vendor meeting. “There were 12 middle-aged men of a very similar demographic and me.” Ten minutes after the meeting was supposed to start, she spoke up to ask what the holdup was. “It is because your boss isn’t here,” she recalls one of the men saying. The thing is, as the first, youngest, and only female product manager at Google Fiber between 2014 and 2016, she was the boss. “I am the person making the decisions,” she said as she reminded him that a multi-million-dollar deal was in the balance. The vendor in question was taken aback by this information. For Wang, however, this treatment was all too familiar. Over the course of nearly a decade of work experience in infrastructure product management and engineering, Wang has witnessed firsthand how few women there are in tech. In her current role as lead product manager for the startup Rubrik, she was also the first female to be hired into that role. According to the National Center for Women in Technology, women make up only 26% of the tech workforce, and Wang adds that in product management that number drops to 5%. She recalls one female tech leader pointing out that while that number may be growing (albeit slowly), adding three women to a marketing team at a tech company isn’t the same as increasing the number of women in actual technical roles. “We need to find ways to address that,” she asserts. And she’s seen that companies aren’t stepping up. In fact, thousands of staff at her former employer staged a walkout on November 1 to protest Google’s policies on sexual harassment following reports that male executives accused of sexual misconduct were given multi-million-dollar exit packages for years. Wang says accessibility is crucial to mentorship as well as to see evidence of representation in roles you can aspire to reach. “I was fortunate that the director of product and the director of engineering were both very supportive,” she recalls, and they promoted her in her first year. But the fact that she had to rely on male mentors who couldn’t understand a woman’s challenges in the space wasn’t helpful. And her only female mentor was on the business side–not in a tech role. So when Wang had a question about how to best motivate engineers, her female mentor wasn’t equipped to answer. “It’s hard to empathize with someone not in the same career role,” she explains. Wang’s had to figure out strategies on her own. Right now at Rubrik, there is less female representation than there was even at Google. As a result of collaborating with so many men who aren’t accustomed to working with women, she’s had to be extremely thorough in preparation for presenting ideas so they don’t get dismissed out of hand. Not only does she come armed with data points, says Wang, but she records testimonials from customers asking for a specific feature. “This is all the supporting facts I present before I even advance my idea,” she says. 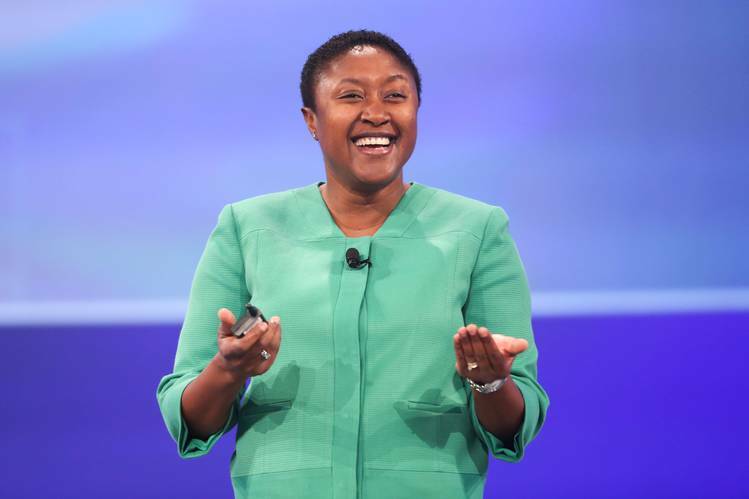 Admitting that even with a rock-solid format like that, not all of her ideas have come to fruition, but she does say that through putting some of these tactical strategies in her own proposals at Rubrik, she’s been able to lead a significant portion of the company’s P&L and annual revenue for product lines for this year as well as those coming out in 2019. Sharing her hard-won knowledge with others was the incentive to start Advancing Women in Product (AWIP), a tech networking and mentoring organization. Wang says that the events the AWIP sponsors are designed to provide the kind of mentorship to women that is lacking in the sector. For example, there was a workshop on how to get executive buy-in when presenting to a manager or at a board meeting. The goal was not only how to present ideas but how to put them forth in a way that they are advanced and championed. This also tackled how best to respond to pushback as a woman, “because society paints this picture that we are softer and more malleable oftentimes that we can be taken advantage of,” says Wang. AWIP provides tactical training and advice when encountering those who might discount their ideas out of hand. Another panel dealt with expanding your sphere of influence when vying for promotions at different levels.The need was evident in the fact that membership is now in excess of 3,000 with its largest contingent in the Bay Area, but also across the U.S., North America, Europe, and Asia. And part of their mission statement is equality, so AWIP has a number of male ambassadors and was recently actively recruiting for its Seattle team. So far in 2018 only 2.2% of venture capital funding has gone to startups founded by women. There are multiple reasons for that (none of them good), but Apple is trying to address the problem by providing some valuable design and coding help. 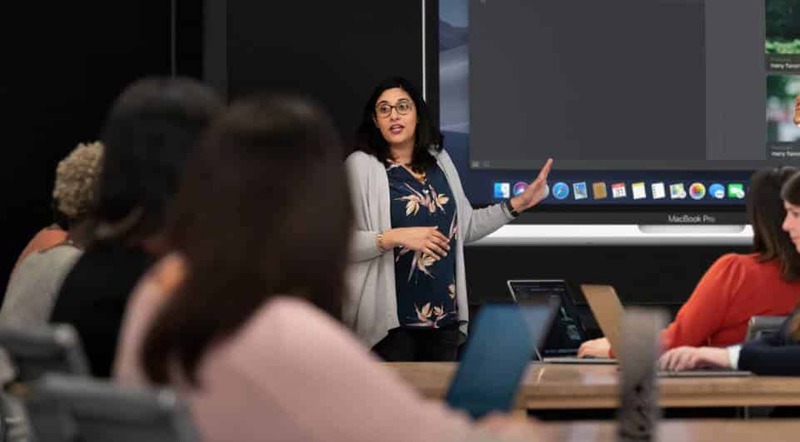 The company will offer a two-week technology lab at its campus in Cupertino in which participants will receive one-on-one app development guidance from Apple experts and engineers. That includes “mentorship, inspiration, and insights from top Apple leaders,” the company says. Participating startups can send up to three people to the sessions. At least one must be a woman developer, and one must be a female founder, cofounder, or CEO. A third person can be any gender, Apple says. The tech giant says it’ll keep doing the coding labs–once every three months starting with the first one in January. Each event will accept 20 startups. The relationship doesn’t end after the two weeks. The startups get ongoing follow-up from an Apple developer who knows the industry niche that the startup is involved in. The startup also gets a membership to the Apple Developer Program, which allows them to submit their apps to the App Store. And the startup’s founder, cofounder, or CEO, along with one female developer, get to attend Apple’s Worldwide Developers Conference. The tech industry is still largely a male industry, and the numbers show it. Just 23% of all tech jobs at Apple were occupied by women in 2017; that’s only a slight improvement over the 20% reported in the company’s diversity breakdown in 2014. A quarter of skilled tech jobs at Google are filled by women, up from 21% in 2014. 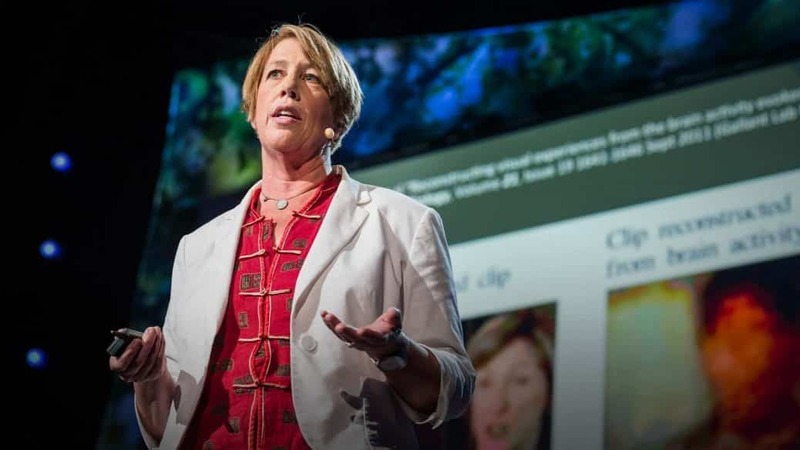 A red laser pointer shining through a raw chicken carcass may not seem like groundbreaking science, but for veteran technologist Mary Lou Jepsen, it’s worth $28 million in funding for her latest startup, Openwater. Jepsen performed the chicken act as part of her August TED Talk to illustrate how her imaging-tech company is building cost-conscious body-scanning technology by using the same components one might find at a science fair. The laser pointer’s light made both skin and bone of the plucked fowl glow, revealing a tumor just under its flesh. This simple demonstration shows the science behind what Openwater is trying to achieve; wearable diagnostics made from consumer electronic parts that offer higher resolution than multimillion-dollar MRI machines but cost as much as a smartphone. It’s a method similar to how holograms are made, and it uses readily available camera and display chips you can find in a smartphone. It’s also an idea that took Jepsen’s skill set to consider, and perhaps her impressive CV to convince investors to buy in. The serial founder led the display divisions at Intel and the semi-secret research group Google X and helped develop Oculus after Facebook purchased the virtual reality headset company in 2014. But Openwater began with Princess Leia’s projected message to Obi Wan Kenobi, when Jepsen aimed her life at building holograms like the one she first saw in Star Wars. Hooked by the lasers and optical illusions involved, Jepsen made her first hologram as an engineering undergrad at Brown. Later, she’d use her growing skill set to develop computer display screens and VR glasses at the top tech companies in the world. At that time, however, holograms did not pay the bills. Because holography was viewed as a frivolous “technology looking for an application,” no one would fund it, Jepsen says. “I just had to figure out a way to support my habit. I basically lived all through my 20s on $12,000 a year just because I thought I’d die if I couldn’t make holograms,” Jepsen said. Her pursuit of holograms bought her to Melbourne, Australia, where she worked as a professor of computer science at the Royal Melbourne Institute of Technology and helped put holograms on the country’s paper money. In Cologne, Germany, she built some of the world’s largest holographic displays, including one of historic buildings projected on an entire city block. Still, she didn’t feel her work was taken seriously, so Jepsen figured she’d need a Ph.D.